NEW YORK CITY: Trial Finally Begins For Elliot Morales, Accused In West Village Hate Crime Slaying Of Gay Man - Joe.My.God. 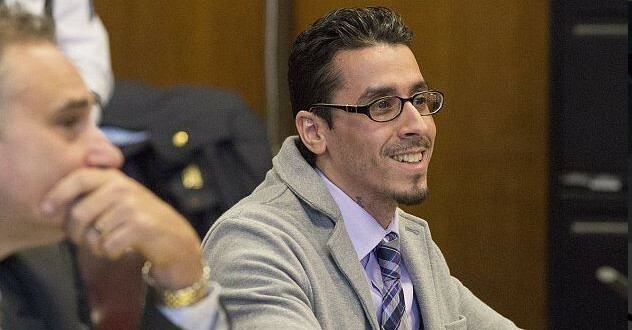 The best friend of a 32-year-old gay man killed by a hate-filled sicko in the West Village in 2013 tried in vain to save his pal, he told jurors Monday. Danny Robinson, 34, said he pleaded with Elliot Morales, 36, to “put the gun down” as he dialed 911 to try to get assistance on May 17, 2013. Robinson tried to convince Morales, a total stranger to the friends, that there were too many people around for him to kill anyone. “This doesn’t make any noise,” Morales allegedly before callously blowing Mark Carson away. The case against Morales had been delayed after he fired his attorney. Earlier this month he was granted permission to represent himself after telling the court that he has been taking a mail order paralegal course available to NYC inmates. He is charged with hate crime murder and faces life in prison without the possibility of parole. Morales previously served eight years in prison on armed robbery charges. 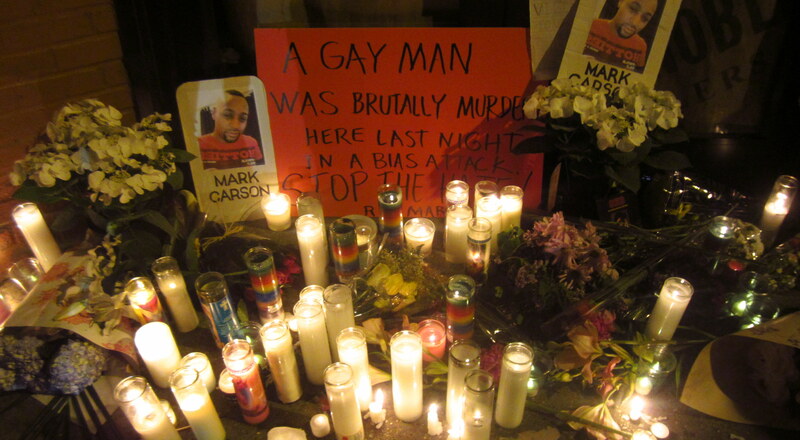 The murder of Mark Carson spawned massive outrage in NYC’s gay community. Hundreds attended an impromptu candlelight vigil on the night after the shooting and thousands later attended a march from the LGBT Center to the location of the crime. Even the Family Research Council and NOM issued statements denouncing the murder. 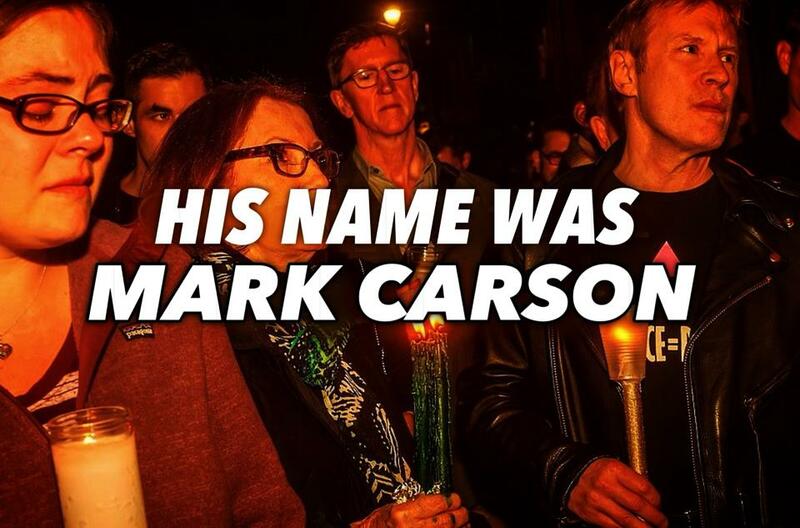 At the vigil, which I attended with a group of JMG readers, some of whom were weeping, organizers urged the crowd to shout these words: HIS NAME WAS MARK CARSON.